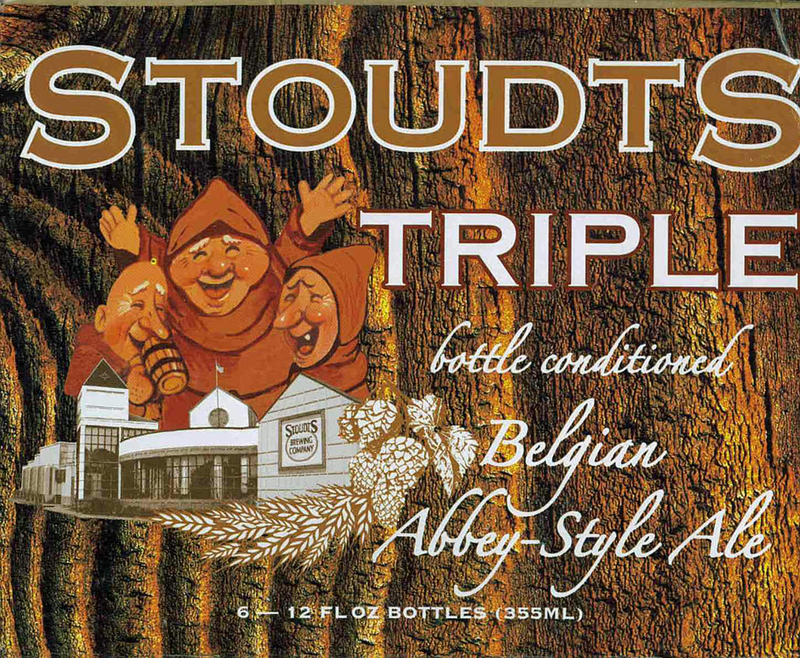 A strong, full-bodied Belgian Abbey-style beer. The traditional yeast strain that is used imparts a rich array of spicy and fruit-like flavors. The prominent clove and melon notes are complemented by the sweetness and alcoholic warmth of the beer. The appealing color of glowing orange makes this brew irresistible. This was reviewed on May 2 but not posted until May 22, 2012. Sorry about the stock pictures. I can’t seem to find the review pictures. I just found the pics for this review. Not very good quality. They were on my cell phone. This has been one of my long time favorite American versions of the Classic Tripel. When I added to the draft beer list for the Holy Saviour Beer Event I realized that I have never reviewed it. So this is a little catch-up, Beer Event preparation and a long overdue review. The beer pours a hazy pale yellow with golden to orange hues and a very rich and creamy white to off white head. The nose is classic Belgian with sweet pale malt aromas with light fruity and citrus notes ridding on a yeasty background. There is also that unique touch of earthiness to the nose that’s common in Belgians. 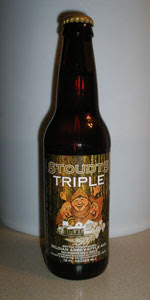 Wow, that’s a nice triple; what a great first sip. That was sweet fruity and warming all in one mouthful. The experience starts out with a light pale malt sweetness up front followed by a very pleasant almost creamy mouthfeel as the sweet ale rolls over the tongue in the middle of the sip. The back end is very easy drinking for such a strong ale. The swallow is deceivingly effortless. The finish is fantastic with sweet pale/pilsner malt flavors with sweet light fruity and citrus notes along with sweet warming alcohol. That is all ridding on an earthy bed of yeasty goodness. The final aftertaste is just a hint of that earthy yeasty note. This is going to be short review since the glass is almost empty already. I’m not sure what happened to the haziness but this beer is crystal clear now. It’s a nice golden yellow but crystal clear. As this beer warms you can really appreciate the 9%. What was stealthily masked is now making its presence known. 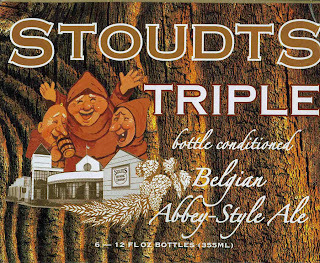 A | Stoudt’s Tripel is hands down one of the best American made renditions of this classic Belgian Abbey Style Ale. It’s hard to believe how they capture the essence of the style without the traditional 750 bottle conditioning/re-fermentation. 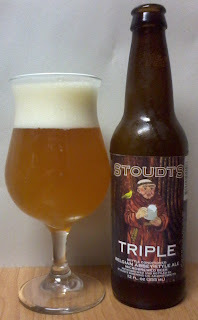 This Tripel is fantastic with rich but light pale malt flavors followed by an almost creamy mouthfeel that leads into an exquisite finish with sweet warming alcohol and notes of citrus and fruity esters all riding on a yeasty earthiness.